Papert was among the first ones to adopt LEGO bricks as a learning tool in education and he capitalised on the strict relationship between hands and brain: it is well-know that hands are connected to between 70-80% of our brain cells, which means that through the exploitation of this neural connection people can learn and think more and in more creative ways by connecting their hands with their brain and by constructing something material. This is the assumption which lead in late ‘90s to the development of LEGO® SERIOUS PLAY® [LSP] a method used in organisations to help people to think, share ideas and creating teams, solve problems and define organisational strategies. The method is based on the theoretical foundations developed in the ‘90s by two professors at the IMD in Geneve (Switzerland), prof. J. Roos and prof. B. Viktor. Soon after, the LEGO® SERIOUS PLAY® method was developed and formalised in its current form by Robert Rasmussen, at that time the director of product development for the educational market at LEGO, and it was officially launched in January 2002. Which are a LEGO® SERIOUS PLAY® method based workshops’ goals®? LEGO® SERIOUS PLAY® is a method that allows participants to negotiate decisions and strategic and operative plans. LEGO® SERIOUS PLAY® enacts a collaborative process that overcomes participants’ differences in roles, seniority and skills. Sharing goals and negotiating decision is what enhances the team building process and acts as a motivational factor both on the individual and on the team. A LEGO® SERIOUS PLAY® based workshop, because of the dynamics among participants and because of the Hands on principle, where participants are called to manipulate and play with bricks, so that different areas of the brain are activated, it encourages creative thinking and it allows new ideas and new connections to emerge. What should I expect from a LEGO® SERIOUS PLAY® based workshop? Who should consider a LEGO® SERIOUS PLAY® apporach? What should I do to organise a LEGO® SERIOUS PLAY® workshop? 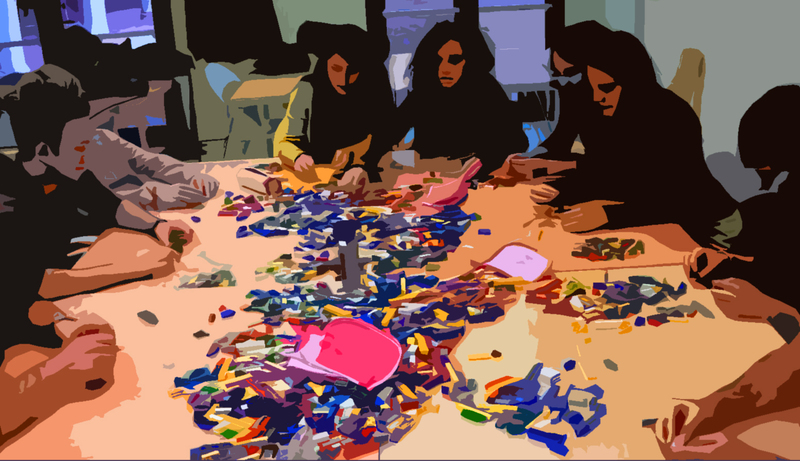 LEGO® SERIOUS PLAY® method based workshop should be run by trained and certified facilitators. If you want to know more, get in touch with B4Bricks.org: we could arrange a meeting and evaluate together if LEGO® SERIOUS PLAY® can be the right approach for your needs. And once you will be convinced, there’ll be only one thing to do: playing. Seriously. This entry was posted on May 4, 2013, 4:33 pm and is filed under Uncategorized. You can follow any responses to this entry through RSS 2.0. Responses are currently closed, but you can trackback from your own site.